In Lebanon, just northeast of the city of Zahle, there is a small village named Karak Nouh. 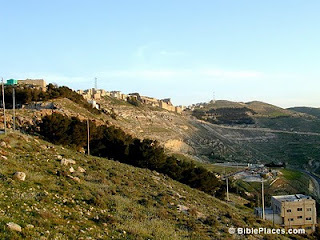 Karak Nouh is located in the Beqaa at the eastern foot of the Mt. Lebanon range. 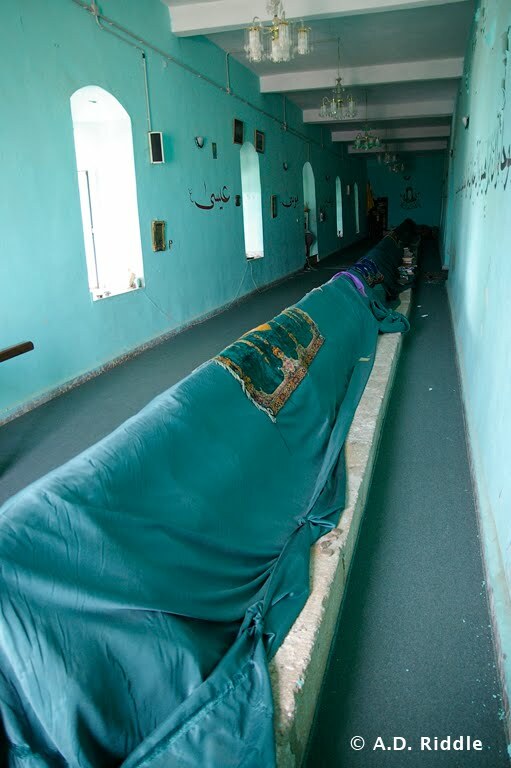 In a building adjoining the village mosque, there is a long sarcophagus draped in a green cloth. It is claimed this is the tomb of Noah. 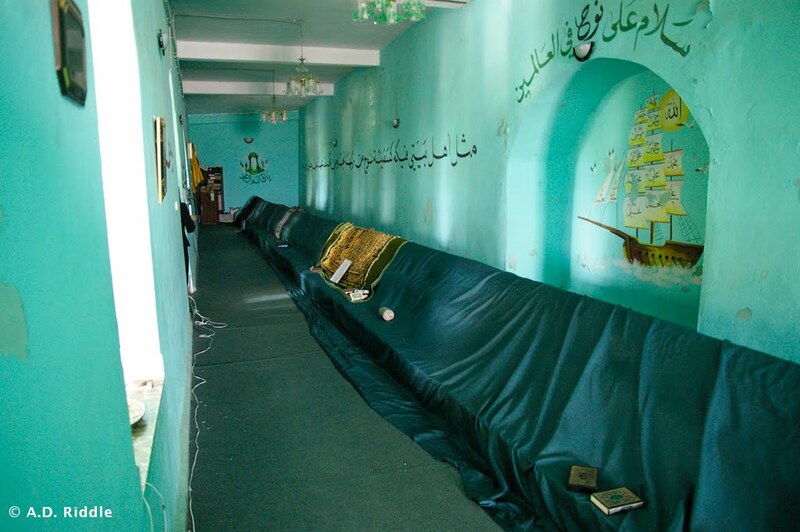 Mark Twain wrote about his visit to Karak Nouh in The Innocents Abroad. Noah's tomb is built of stone, and is covered with a long stone building. Bucksheesh let us in. The building had to be long, because the grave of the honored old navigator is two hundred and ten feet long itself! It is only about four feet high, though. He must have cast a shadow like a lightning-rod. The proof that this is the genuine spot where Noah was buried can only be doubted by uncommonly incredulous people. The evidence is pretty straight. Shem the son of Noah, was present at the burial, and showed the place to his descendants, who transmitted the knowledge to their descendants, and the lineal descendants of these introduced themselves to us to-day. It was pleasant to make the acquaintance of members of so respectable a family. It was a thing to be proud of. It was the next thing to being acquainted with Noah himself. 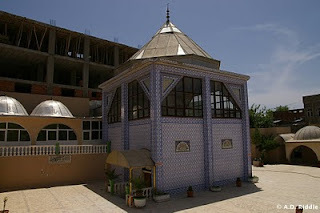 There is another tomb of Noah in the city of Cizre, Turkey (pronounced Jizre). Cizre is on the Tigris River, north of the location where Iraq, Turkey, and Syria all meet. To the east is Cudi Dağ, identified as Mt. Ararat in some traditions. 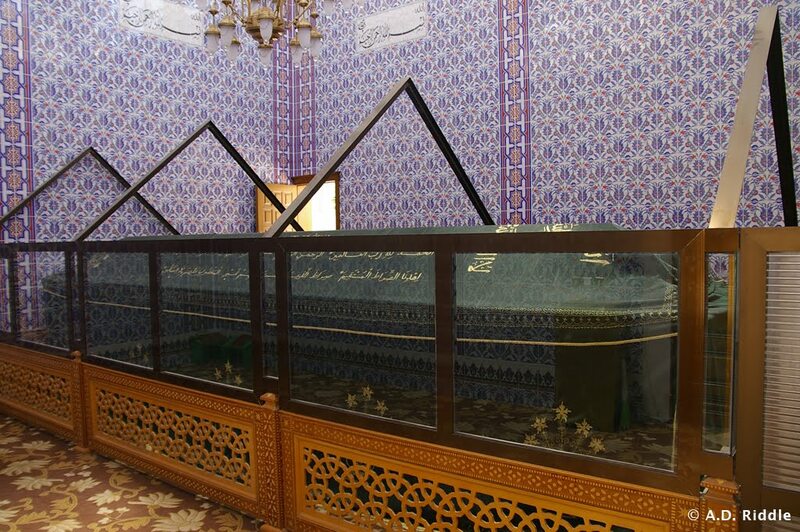 Tomb of Noah, Cizre, Turkey. Evidently, there is also a shrine to Noah name Hazrat Nuh in Kerak, Jordan. I have not visited this one, nor do I know if there is a tomb associated with the shrine. I believe the shrine is the small, turquoise building at the far left in this photograph. It is located in a cemetery on the northwestern edge of the modern town.